We've got the next handful of brewery, bar and bottleshop listings waiting in the wings but, before then, it turns out we've embellished our directory by another dozen since the last roundup. So, as is customary, we get to create another beer-flecked postcard and bring together those 12 in one place in case you missed them when we first added them. 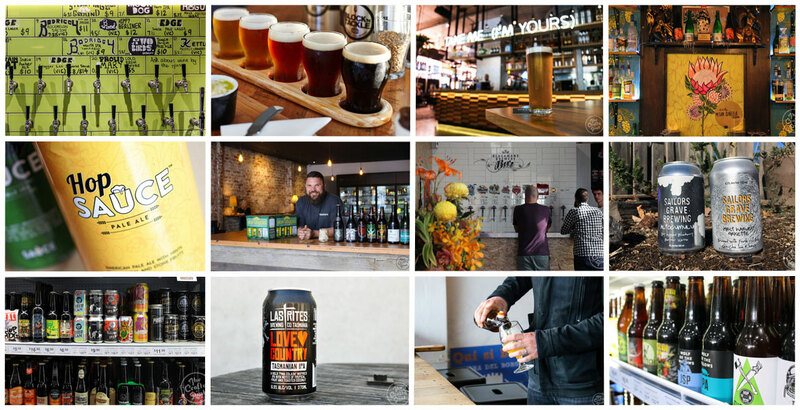 Beermash (VIC) – Beermash started out as, first and foremost, a growler store, sending customers home with beers, ciders, kombucha and more from its 20 taps. It's since filled fridges and shelves with packaged beers and secured a license that allows you to drink in too, adding to Smith Street's fine array of crafty joints. Baby Mammoth (WA) – There aren't too many restaurants that put beer ahead of other beverages on their menus and in their mindset. Baby Mammoth does – and does it brilliantly. As well as three rotating taps and an expertly curated bottle list, you'll find beer cocktails featuring homemade beer vermouths, African influenced dishes and a superb, ever-evolving soundtrack. Blackman's Brewery Bar (VIC) – Struggling to get your beer on tap in a city that's still predominantly tied to the big boys? Why not open your own venue and give yourself ten to play with? That's the approach Blackman's has taken to Geelong, bringing brewer Renn's fine beers and a similar feel to their Torquay home to a laneway in the heart of the city's reinvention. Last Rites Brewing (TAS) – One of the first new brewing companies at the start of the recent explosion that's hit Tassie in the past few years, Last Rites combines the expertise of people with diverse backgrounds in the state's booze industry. They bring a colourful, frequently hop forward, approach to brewing and welcome guests to their brewery a couple of times a week too. Otter's Promise (VIC) – Melbourne is enjoying a flourishing of quality craft beer focused bottleshops. Otter's Promise is one of the newest arrivals, opened by one of the local beer scene's best known characters and bringing quality across the booze spectrum to Armadale. A change to its license early in 2017 should see it become a local's hangout too. Sailors Grave (VIC) – A brewery that has caught the eye of plenty of adventurous beer drinkers since launching in 2016, Sailors Grave combines an unlikely location in an old butter factory in East Gippsland with unlikely beers presented in some of the best looking cans you'll have seen. Left of centre and showcasing the produce of their own farm and that of their wider region (and ocean), they're a colourful addition to the Aussie beer landscape. BrewSmith (VIC) – Another business with a unique approach is BrewSmith – launched by a husband and wife team determined to come up with a high quality solution for homebrewers without much space in which to create. BrewSmith was the result, with an ever-growing range of recipes on offer – and other products encouraging you to get creative in areas other than beer too. Block n Tackle (NSW) – This Central Coast operation could almost be a test case for how tough it can be to navigate red tape when setting up a brewery. But, with determination and the support of passionate locals, Block n Tackle has turned its warehouse home into a thriving hub for locals and a key calling point for the region's tourists. Greythorn Cellars & Vintage 72 (VIC) – The team behind Diamond Creek's Nillumbik Cellars knows how to create a high quality bottleshop. So the template that has worked at the original store has been rolled out into two Melbourne suburbs previously in need of a decent bottleshop. And, lo, did the beer lovers of Rosanna and Balwyn North rejoice. Sauce Brewing (NSW) – Sydney's Inner West is turning into one heck of a craft beer hub. While he hasn't yet finished building his sizeable brewery in Marrickville, Mike Clarke already has a number of beers out in the market – most showcase hops (lots of them) – and all are canned. 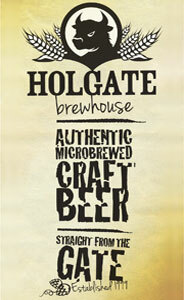 Look out for the brewery opening later this year. Hopscotch (VIC) – The popular tourist strip that is Melbourne's Southbank has never been the best spot for crafty offerings; the Belgian Beer Café has been pretty much the sole beacon amid otherwise mainstream Aussie fare (Hophaus has German beers covered). But the people behind the former World Bar & Restaurant are hoping to change that with Hopscotch, where around a third of its 30 taps are dedicated to local independent breweries and a small onsite brewery is earmarked for collaboration brews. If you'd like to find out more about being listed in our directories, get in touch. You can find all previous roundups here.